I was tired of looking at the two boxes of Raisin Bran that were languishing on the shelf. I bought them for my son, but he does not appear to be as fond of the cereal as he claimed. 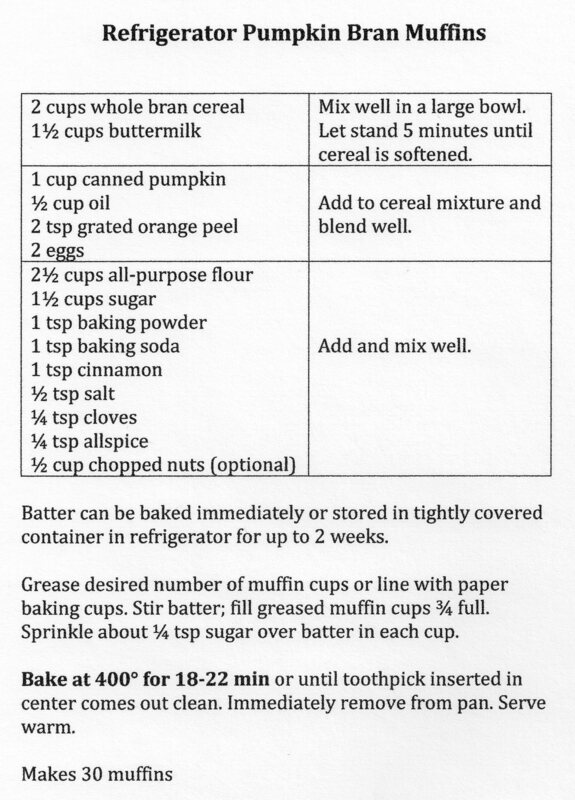 So I dug out an old recipe for refrigerator muffins. I got it from a co-worker in my very first real job, and that was more than a few years ago. But I remembered it as being a good one. The beauty is that it uses a whole box of Raisin Bran cereal and a full quart of buttermilk. So no leftovers of odd ingredients. And the batter lasts six weeks in the refrigerator. I whipped up the recipe, baked a few muffins and stashed the remainder of the batter in the fridge. Those first muffins were not what I remembered – the bran flakes had not had time to fully soak into the batter and I could discern individual flakes in a white batter. The next set I baked a few days later, however, were perfect. Dark brown inside with a hearty flavor. Good lesson – they improve with time. The best part was being able to pop a few into the oven early in the morning and Voila! fresh warm muffins. It worked especially well when we had overnight company. I could spoil her with home made muffins right out of the oven without the distraction of mixing them up while she was there. And for several weeks afterwards, I had muffins at will. I even got that same son to bake up a batch for himself to take to work in his lunches. Turns out he likes the cereal better in muffins. If one refrigerator muffin recipe is good, there must be more, right? Sure enough, a search on the internet turned up numerous variations. The one that caught my eye was for pumpkin muffins, of course. 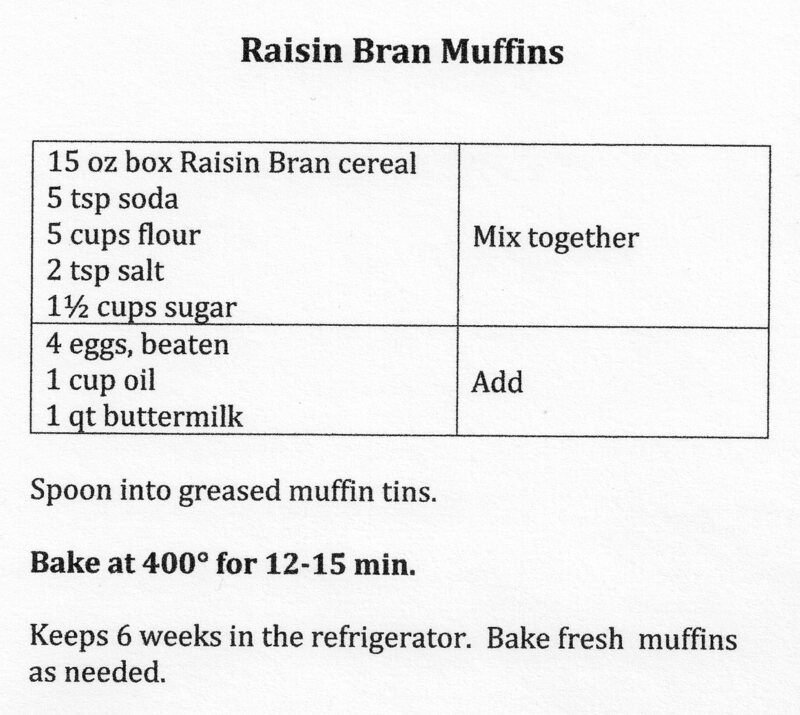 It is still a bran muffin, which in my opinion is a good thing – they’re my favorite. But the addition of pumpkin and fall spices like cinnamon, cloves and allspice make for a tasty muffin. This one makes a smaller batch, and only lasts two weeks in the refrigerator. And now I have leftover canned pumpkin and buttermilk. Maybe that calls for a second batch. This recipe is from Pillsbury. You never know where you will find a good recipe. 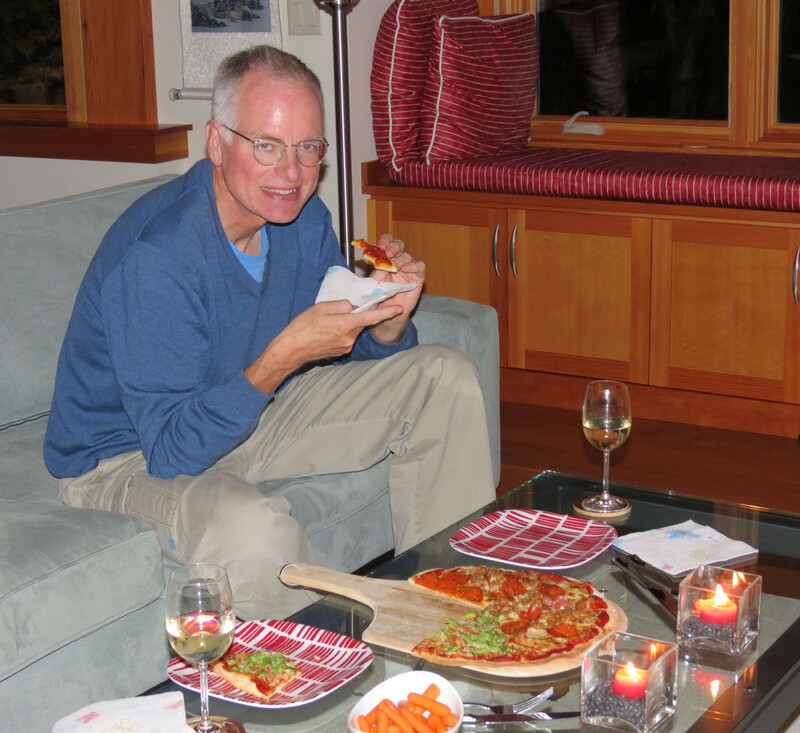 This time it was at the South Bay B&B on Lake Whatcom, near Bellingham, Washington. We were there with our youngest son, Erik, who was a high school senior at the time. These chocolate chip cookies kept magically reappearing as Erik cheerfully did his part to empty the cookie jar each time he passed. I had to agree, they were good. Fortunately our hostess easily parted with the recipe, which she readily admitted came off the enormous bag Ambrosia chocolate chips. Now I have plenty of experience in failing to successfully replicate others’ recipes. But this one truly worked. My results were every bit as good as those at the B&B, and disappeared equally quickly. Over time, in different kitchens and any season, these cookies consistently turn out to my liking. That is no minor feat. Not only are they my family’s favorite, but my son-in-law and now my grandson both ask for them. What more evidence do I need? After all these years of testing cookie recipes, I think I can say with utmost confidence that I have finally found the formula for the ultimate chocolate chip cookie. It is moist, chewy, substantial and generously pocked with chocolate chips. Nothing better. 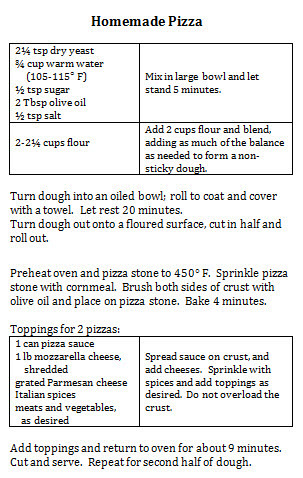 I can also attest to the durability of this recipe. 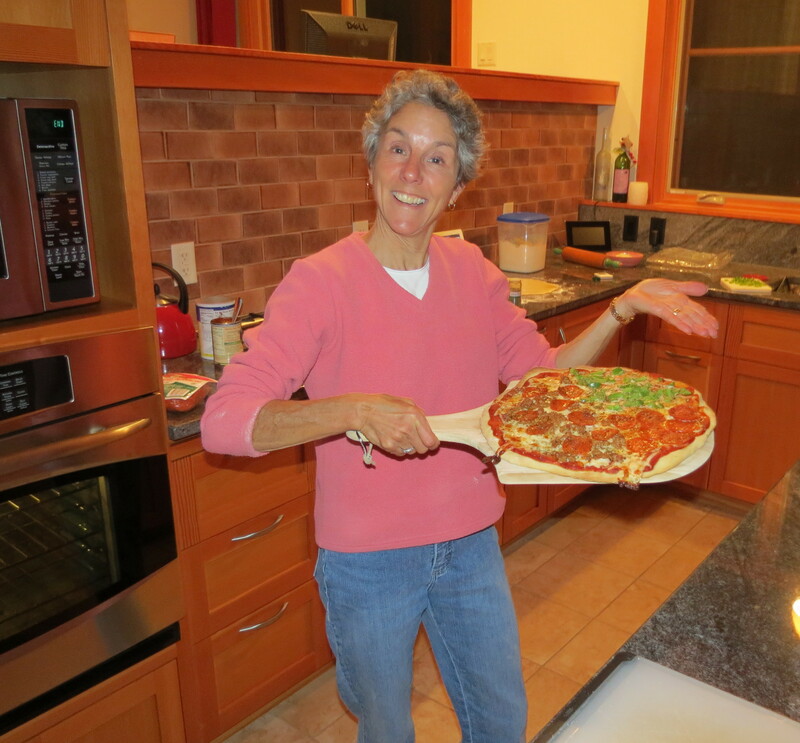 It stands up to a 2-year-old’s manipulation and fascination with dough. 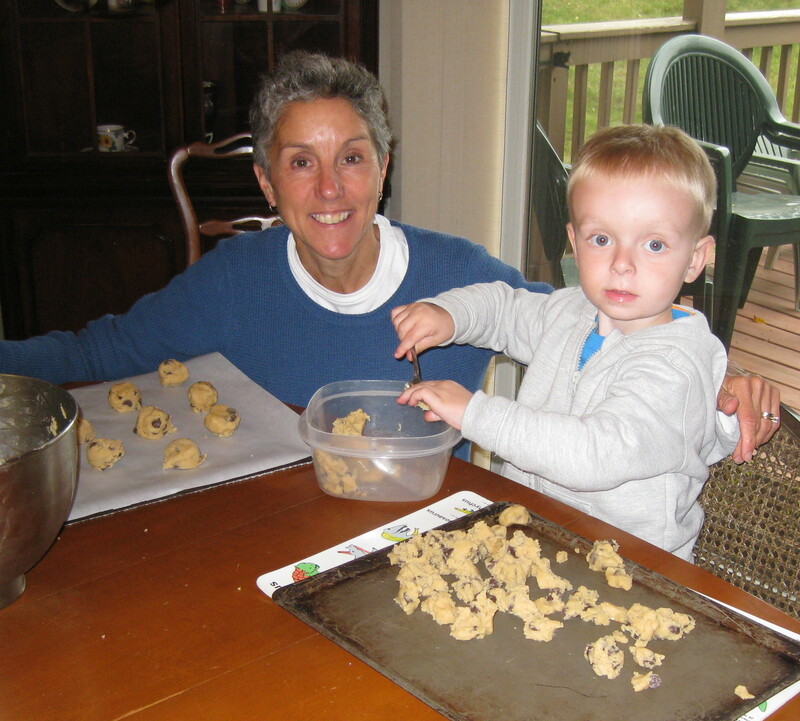 Baking cookies has become a favorite activity of mine with my grandson. He has his own idea about how cookies should be formed. But the result is still always delicious. And he and his daddy are happy when they get to take a bunch home. Sadly, the lovely B&B is no longer in operation. 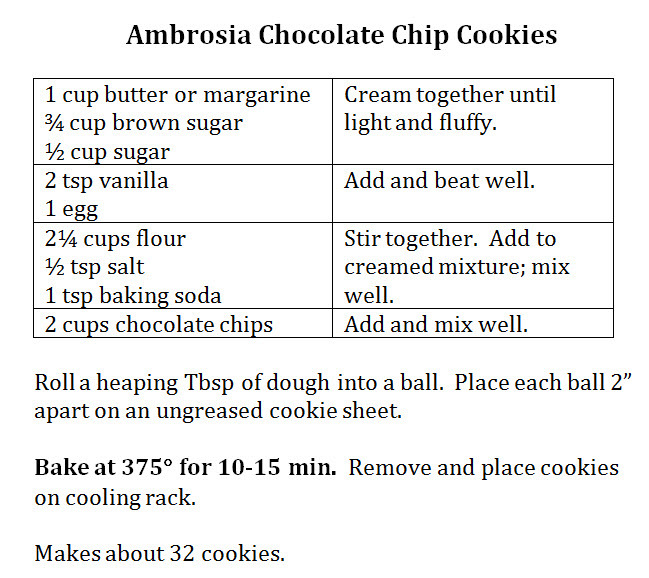 But it will be fondly remembered each time we bite into a chocolate chip cookie, because it is unlikely I will use any other recipe. Now I will have to start on a new recipe quest. I don’t think my family will mind.